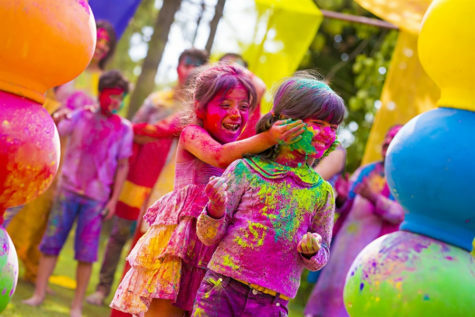 Holika, or Holi for short, is the Festival of Color. It marks the end of the nippy winter months and the beginning of spring. This festival comes during the full moon in the Hindu month of Phagan, in February or March. In 2019, it falls on March 21, with the Holika Dahan beginning the evening of March 20. 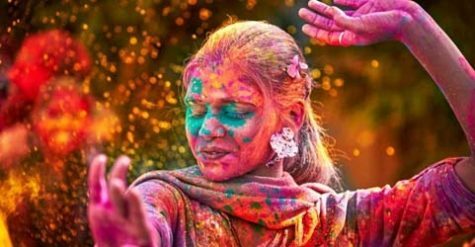 Bura na mano, Holi hai! 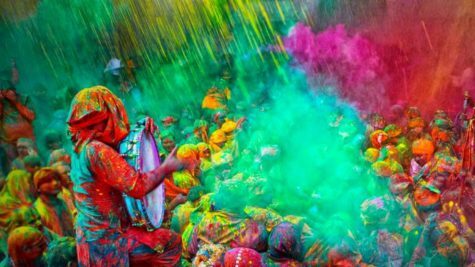 Holi is celebrated with extreme enthusiasm and joy. Gulal, abeer and pichkaris are synonymous with the festival. Elaborate plans are made to color loved ones and family members. Everybody wants to be the first one to color the other. 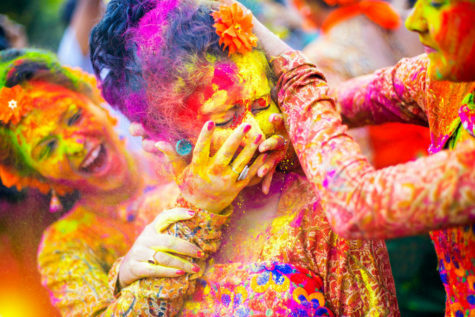 In the ensuing battle of colors, everybody is drowned not just in colors of gulal but also in love and mirth. People love to drench each other in colored water. Gujiyas and other sweets are offered to everyone who comes across to color. Temples are beautifully decorated at the time of Holi. Idol of Radha is placed on swings and devotees turn the swings singing devotional Holi songs. Small plays are organized reflecting the spirit of the festival. 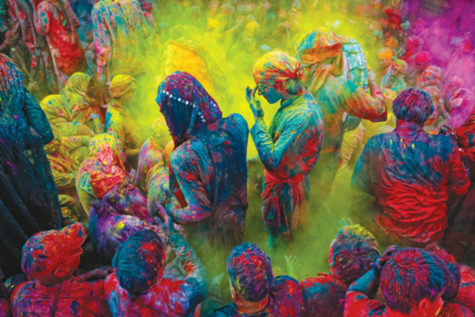 Fun, frolic, boisterousness to the extent of buffoonery marks this festival of colors. What more can be expected- when the people get a social sanction to get intoxicated on the bhang, open not just their hearts but also their lungs. And viola, nobody is expected to take offense too, as the norm of the day is, ‘Bura na mano Holi hai‘. Foremost is the legend of Prahlad and Hiranyakshyap. The legend says there once lived a devil and powerful king, Hiranyakshyap who considered himself a god and wanted everybody to worship him. He demanded that no one pray to Lord Vishnu and that they only pray to him. In fear, people did as he bid. However, his son Pralhad was devoted to Lord Vishnu and would not abide by his father’s rules. To discipline him, Hirankashyap ordered harsh and cruel punishments, yet no harm came to Pralhad. Finally, Holika (Hirankashyap sister), who was immune to the harms of fire, was ordered to sit on a bed of flames with Pralhad on her lap. Holika was burnt, but Pralhad survived unharmed. As Holika lay dying she begged Pralhad for forgiveness. Pralhad forgave her and deemed that one day a year would be to remember her. 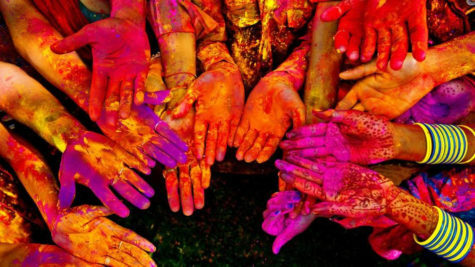 To commemorate “Holi”, large bonfires burn and people say a prayer to “Holi” for well-being. 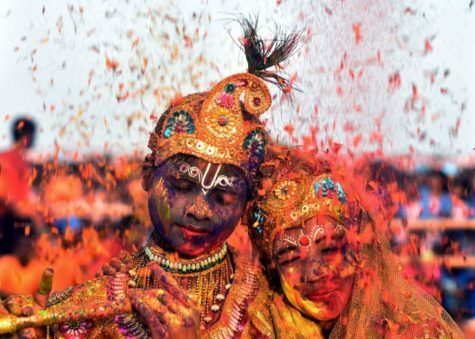 Holi is also associated with the immortal love of Krishna and Radha. A young Krishna complained to his mother Yashoda about having such a dark complexion compared to his love Radha who was so fair. Yashoda told him to apply color to Radha’s face and see what would happen. Today, celebrations start early in Nandagaon, where Lord Krishna grew up. Men from Nandagaon raid nearby Barsana (where Radha grew up) with hopes of raising their flag over Shri Radhikaji’s temple. The women of Barsana “beat” the raiders with long wooden sticks. This is a mock battle and the men are well-padded as they try to evade capture. If captured, the men are forced to dress as women, paint their faces, and dance! Mythology also states that Holi is the celebration of death of Ogress Pootana who tried to kill infant, Krishna by feeding him poisonous milk. 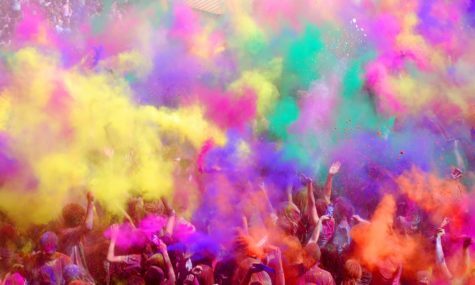 Holi helps to bring the society together and strengthen the secular fabric of our country. For, the festival is celebrated by non-Hindus also as everybody like to be a part of such a colorful and joyous festival. 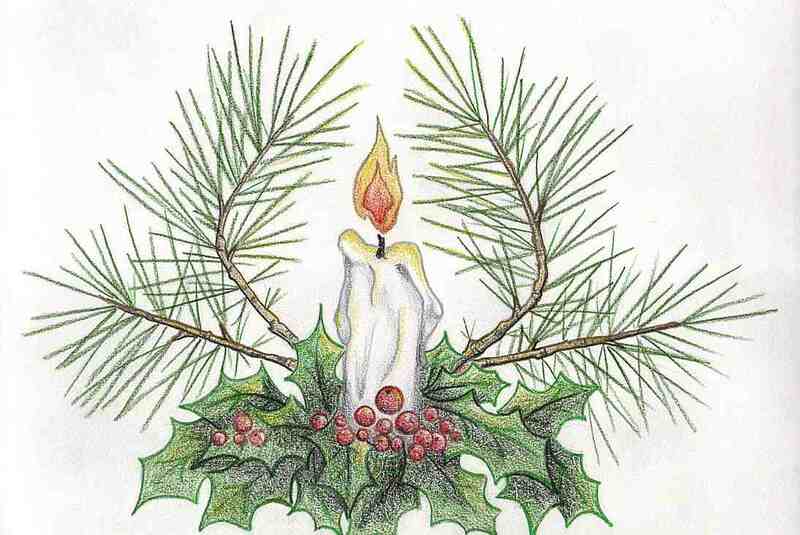 In the evening people visit friends and relatives and exchange gifts, sweets and greetings. This helps in revitalizing relationships and strengthening emotional bonds between people. As Holi comes at a time of the year when people have a tendency to feel sleepy and lazy. This is natural for the body to experiences some tardiness due to the change from the cold to the heat in the atmosphere. To counteract this tardiness of the body, people sing loudly or even speak loudly. Their movements are brisk and their music is loud. All of this helps to rejuvenate the system of the human body. Besides, the colors when sprayed on the body have a great impact on it. Biologists believe the liquid dye or Abeer penetrates the body and enters into the pores. It has the effect of strengthening the ions in the body and adds health and beauty to it. 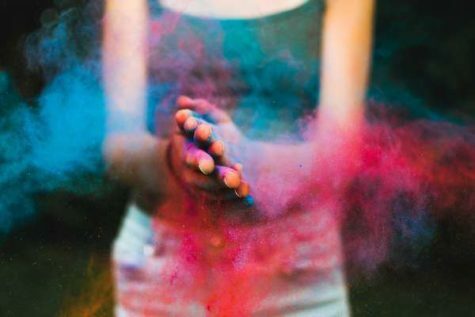 There is yet another scientific reason for celebrating the Holi, this however pertains to the tradition of Holika Dahan. The mutation period of winter and spring, induces the growth of bacteria in the atmosphere as well as in the body. When Holika is burnt, temperature rises to about 145 degrees Fahrenheit. Following the tradition when people perform Parikrima (circumambulation or going around) around the fire, the heat from the fire kills the bacteria in the body thus, cleansing it. Some also believe that play with colors help to promote good health as colors are said to have great impact on our body and our health. Western-Physicians and doctors believe that for a healthy body, colors too have an important place besides the other vital elements. Deficiency of a particular color in our body causes ailment, which can be cured only after supplementing the body with that particular color. People also clean-up their houses on Holi which helps in clearing up the dust and mess in the house and get rid of mosquitoes and others pests. A clean house generally makes the residents feel good and generate positive energies.